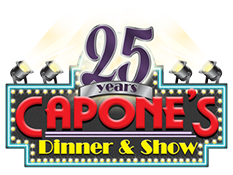 On Thanksgiving Day Capone’s Dinner & Show opens its spectacular holiday show with songs of the season, festive holiday décor and elaborate costumes. 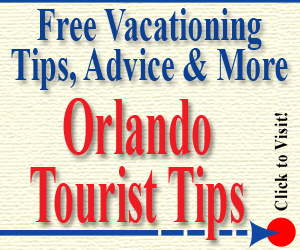 For many families vacationing in Orlando, Capone’s has become a tradition. After all, the dinner show has been pleasing audiences for over 25 years! Adding new features and updated scripts, keep the show fresh and fun. Not to mention the audience interaction, which is never the same two nights in a row! To add even more holiday cheer, a Gangster Shootout was incorporated into the seasonal show four years ago with much success. It’s full of action! Be ready to “catch a bullet” and win prizes. The gang at Capone’s has really stepped it up with even more prizes during the holidays and a script that will keep your gang on their feet. It’s a raucous-fun time for all ages. Purchase your dinner show tickets now! Thanksgiving Night – 7:30 p.m. 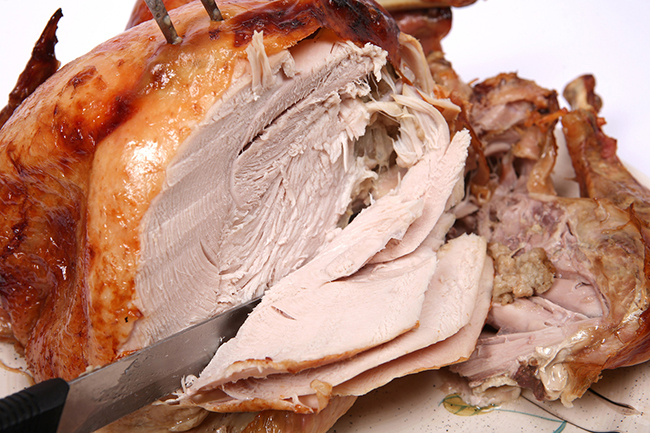 The menu during the holiday show at Capone’s includes a delicious buffet filled with traditional favorites, such as smoked turkey, dressing, mashed potatoes, gravy and more. A separate meat carving station also serves up hot, freshly prepared London Broil Steak and Herb & Cheese-stuffed Roasted Pork Tenderloin and scrumptious ham. Paired with a Soup & Salad Bar and a create-your-own Pasta Bar, your meal will truly be a feast! By the way, drinks are unlimited (including alcoholic beverages) and dessert is included too! Tickets to the holiday show at full price (who pays full price though?!) 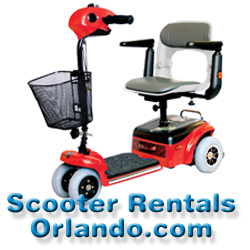 are $69.99 plus tax per adult and $45.99 plus tax for children ages 4-12. Infants up to 3 years of age are free, however, they do require a ticket for seating purposes. 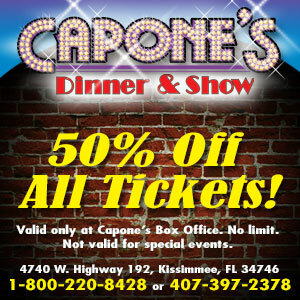 If you purchase your tickets directly from Capone’s web site at alcapones.com, you’ll pay half price! 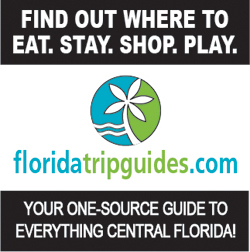 (Adult: 34.99 + tax = $37.61 and Child: 22.99 + tax = $24.71) For those who do not want to make a purchase online, use the half-off coupon and call the box office at 407-397-2378 to make your reservation. This is a spectacular show and meal for less than $40! Want to be treated like a VIP? For an additional $12 per ticket ($9/child), you can enjoy many perks including an option to visit Al’s Four Deuces Lounge prior to the show. You might even be challenged to a card game by one of the wise guys! The holiday show opens Thanksgiving Day and continues through January 1st. Reservations are not required, but are highly recommended. If you’re looking for a great deal on a festive New Year’s Eve, check out Capone’s New Year’s Eve Gala. Tickets for the Gala are full price, but include everything the holiday show includes and much more! Step back in time to the prohibition era for a night of music, dancing, action and comedy. The gang at Capone’s Dinner & Show is always in character, and always ready to show you a great time. Whether it’s your first time or you are a “repeat offender,” one thing’s for sure, you’re gonna have a blast!